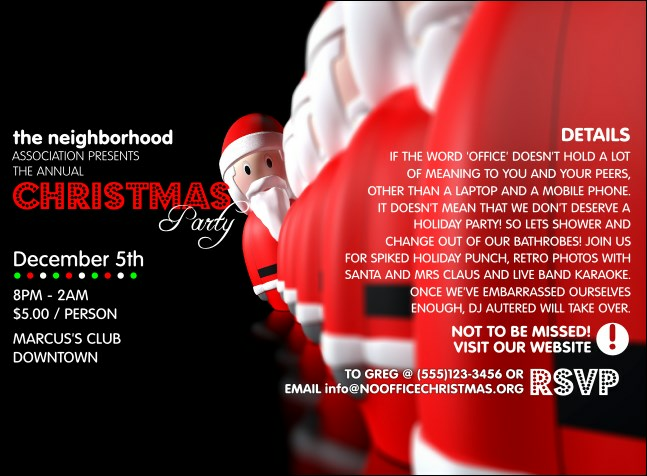 Promote your event with thoughts of sleigh bells and visions of presents for all the good girls and boys when you print Santa LineUp Invitations and send them to your guest list. No one will want to miss your event with Invitation templates that feature a toy version of their favorite jolly Christmas character peering out from a lineup against a sleek black background. You take care of the milk and cookies; TicketPrinting.com will take of the promotions!